EQUIPPED WITH FHPV – FEDEGARI HYDROGEN PEROXIDE VAPORIZER. 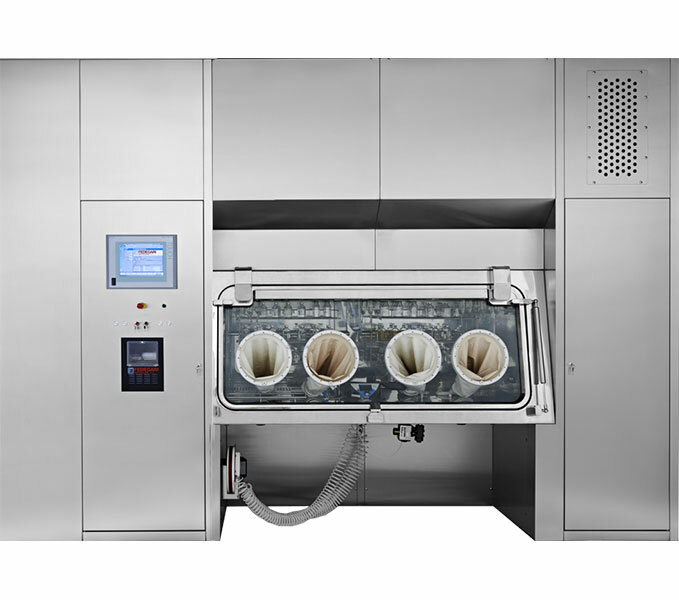 pharmaceutical dispensing/handling of API and High Potent Ingredients. to assure sterile continuity after unloading sterile process machines . to guarantee aseptic filling during manufacturing phase. To achieve these goals, FCIS unit uses a barrier in order to separate the operator – working in C or D EU cGMP grade area (ISO7, ISO8 US cGMP) – from the working area – in A grade area EU cGMP (ISO5 US cGMP) – where all operations occur. The isolator meets all the requirements of the FDA, EMA, WHO and associated pharmacopoeia as well as all applicable EN standards and directives and international norms. Fedegari’s pharmaceutical isolator can be integrated with a side transfer hatch designed to introduce/remove all the containers and material necessary for the process. Per evitare falsi positivi viene fornito un generatore di perossido Fedegari HPV di serie, grazie al quale si può lanciare un ciclo di decontaminazione chimica delle superfici di lavoro prima di cominciare ad utilizzare FCIS. Questo permette di essere sicuri di lavorare in un ambiente asettico. Fedegari has developed for the pharmaceutical isolators the same solution standardized for its bio-decontamination pass-boxes, since the performances and reliability of third party H2O2 vaporizers were not satisfactory. Moreover, the Fedegari Hydrogen Peroxide Vaporizer (FHPV) excludes the need of propietary consumables, reducing significantly operational costs. 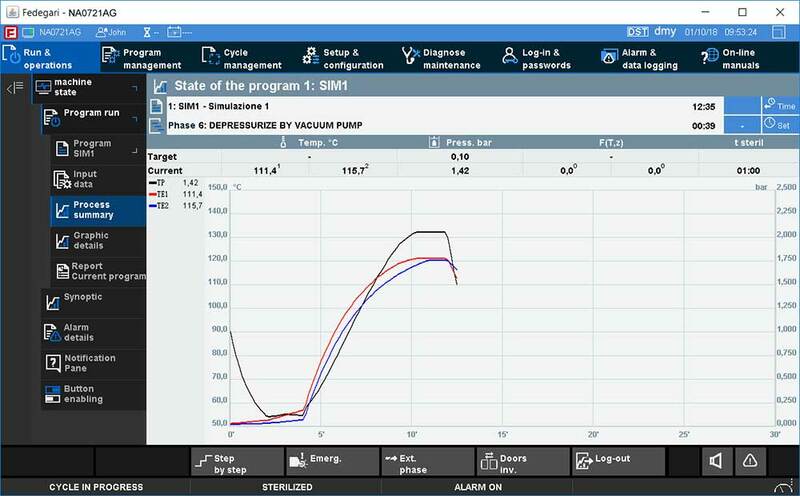 Through H2O2 sensors and other devices, vapor concentration is directly monitored (over traditional estimated calculations) by process controller Thema4 and remains extremely constant (within ± 15 ppm) thus allowing process repeatability. AISI stainless steel chambers with bright annealed surface finishing (Ra ≤ 0.4 μm). Manufactured to the highest GMP quality standards. Doors are protected with a double gaskets system to ensure the highest level of safety for the operators. Integrated pressure decay leak test both for chambers and gauntlets Exhaust air from the isolator is filtered by a H14 HEPA filter before being expeled to outside environment. Customizable and modular unit manufactured according to customers’ needs. Operations guaranteed in a grade A environment. Avoid risk of material/operator cross contamination. Utilities savings compared to clean rooms. Integrated Hydrogen Peroxide Vaporizer (FHPV). Bespoke racking and storage to suit customer’s application.